A JEWEL IN THE ARID ZONE: �A Great Artesian Basin spring, outside the exploration area. THE GOVERNMENT IS EXPECTED to give the go-ahead to controversial fracking for gas and oil between Coober Pedy and the Great Artesian Basin mound springs, despite objections on environmental and water security grounds. The Department of Mines and Energy this week recommended Stage 2 approval for the project, following a revised Environmental Impact Report from the company involved,� SAPEX Ltd. In response, SA Greens leader Mark Parnell asked: "How on Earth is it possible in the year 2019 for a new fossil fuel project to be assessed and evaluated without a single reference to climate change? Neither the company’s 220 page Environmental Impact Report or the State Government's 46-page response even mentions climate change as an issue. What planet do these people live on?" SAPEX is a wholly owned subsidiary of Tri-Star Petroleum, a private family company based in Houston, Texas, which has been active for some years in the Queensland coal seam gas industry. It plans to drill on two exploration permits which lie roughly north and south of the road from Coober Pedy to William Creek. 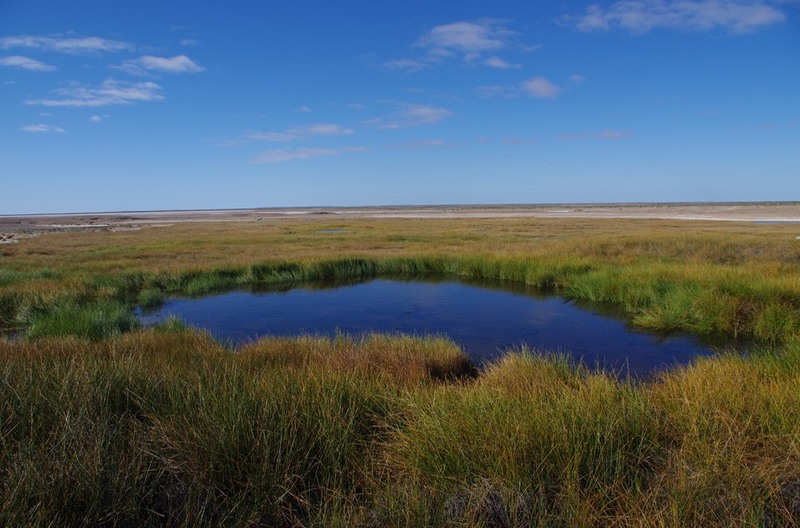 The proposals have been strongly opposed by geologists, the Friends of Mound Springs, Coober Pedy Council, and one of the nation's leading experts on the Great Artesian Basin, among others. The company says its exploration could involve a number of wells over the next few years. A spokesperson for Tri-Star said: "We have a long history of oil and gas exploration in Australia and a proven track record of safety, using fit-for-purpose equipment. "Tri-Star has been operating safely for nearly 40 years, and the safety of our people and the communities in which we operate is paramount. "We are a responsible custodian of the environment, and have an enviable track record in the industry of exceptional environmental performance." Dr Damien Bachmann, a consultant geologist based in Coober Pedy, argued that the various aquifers in the basin are interconnected and that fracture stimulation would further increase this, with the potential to release natural hydrocarbons and chemical additives into the Great Artesian Basin. The Department, however, says there has been no evidence of groundwater contamination despite the fracking of 120 wells in the oil zones of the Great Artesian Basin already. In his submission Dr Bachmann said fracking in the Arckaringa Basin should be considered as having high impact under the Development Act 1993 and should require approval under the Commonwealth Environment Protection and Biodiversity Conservation Act 1999. "It is extremely important to keep in mind that fracture propagation . . . especially (where there are) pre-existing discontinuities, is very poorly understood." Pollutants finding their way into the GAB could have dramatic consequences for the cattle industry, mining, tourism and water supplies for human activities, he warned. Dr MA (Rien) Habermehl, formerly of Geosciences Australia and the Bureau of Rural Sciences, who has conducted hydrogeological research relating to the Great Artesian Basin and its associated mound springs for more than four decades, has also been highly critical of SAPEX's initial environment report for lack of detail, particularly seismic and satellite data to show where there are geological faults. Coober Pedy, which relies entirely on artesian bores for its water supply, has also objected to the SAPEX proposals. The Department of Mines and Energy, after assessing that revised document�for almost six months, has now recommended approval. There is, however, no opportunity for submissions on the revised EIR or the department's assessment. SAPEX has agreed that any fracking within 5km of an artesian spring will be subject to further assessment and consultation with both state and federal agencies but has stopped short of promising it will not frack within that 5km zone. It notes that the 5km exclusion zone does not apply to exporation drilling which does not involve fracking. The state government last year responded to political pressure and agreed� to a 10-year ban on fracking in the south east of the state.� But it made it clear that this ban applied only to a specified area, centred on the Mt Gambier seat of Independent Liberal Troy Bell. The departmental recommendation for approval of the SAPEX proposals has still to be endorsed by the Mines and Energy Minister Dan van Holst Pellekaan. The company will then have to seek Stage 3 approval before it can actually conduct any fracking. �To do so it will need to supply technical operating details for each drill hole, including the actual depth and thickness of the geological formations and the underground rock stresses at that site.